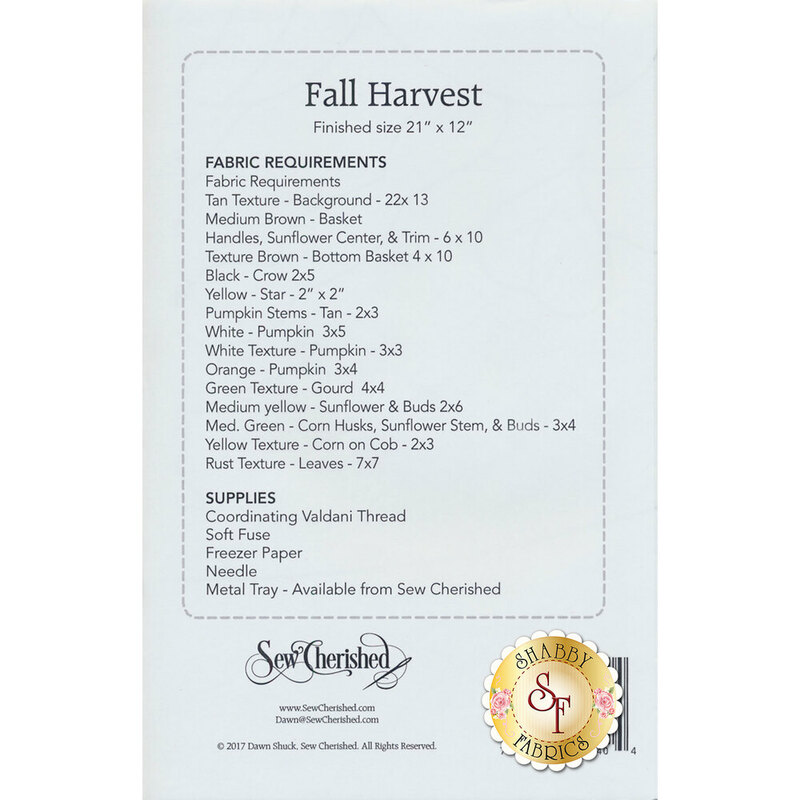 Add a traditional harvest feel to your home with the Fall Harvest Pattern by Sew Cherished! 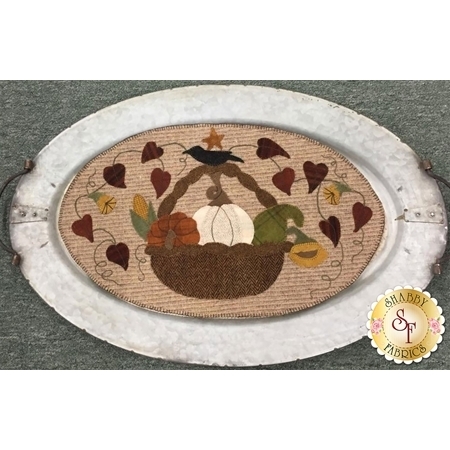 Made for wool fabrics, this table mat features a harvest basket full of pumpkins and squash and hand embroidered embellishments. Finished project measures 12" x 21".